In 1788, the First Fleet brought out a small hand press (a wooden screw press). Neither the guards, nor the prisoners knew how to operate it though, right until 1795 when a certain convict by the name of George Hughes taught himself how to print. He was an actor at the Sydney Theatre. His spell as government printer lasted until 1800. In a small print shop behind the Government House he produced over 200 individual Government Orders, regulations, broadsides and playbills. The earliest surviving item is a playbill, advertising a 30 July 1796 performance of Nicholas Rowe’s The Tragedy of Jane Shore (1714) at the Sydney Theatre. Unfortunately for Mr Hughes he was replaced by a shoplifter named George Howe. He was apprenticed to the printing trade, had a solid European literature education and a work background as a printer on The Times and other newspapers. 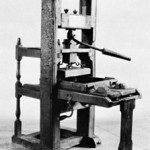 Almost instantly Howe became a government printer, and the dimension of his printing far outpaced the broadsheets and orders of his predecessor. 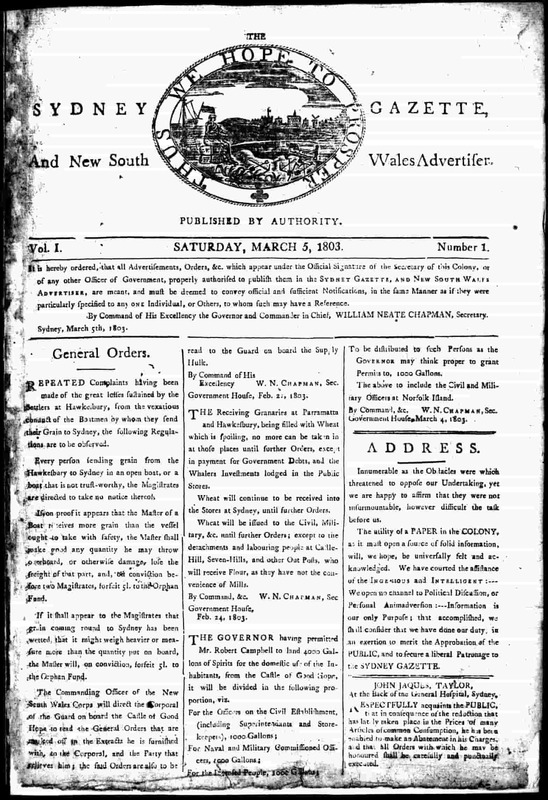 In 1802 he issued the first book printed in Australia, New South Wales General Standing Orders, comprising Government and General Orders issued between 1791 and 1802. His press produced about 50 sheets per hour. 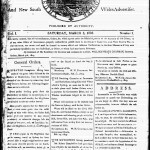 Howe enjoyed a very successful career as a government printer, poet, editor and publisher, through establishing a weekly newspaper in 1803, the Sydney Gazette, which ran until 1842. Litho printing is also known as lithography or lithographic printing works on the basic principle that oil and water do not mix. Australia acquired its first lithographic printer in 1821, mainly for printing maps. Two lithographic presses were set up at Parramatta Observatory. One was subsequently transferred to the Surveyor General’s Department and used for printing maps. 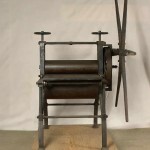 It is a “Hughes & Kimber” press, although there is no record of this company manufacturing large steam lithographic presses before 1865.